Want To Reform Your Union? I know it seems like I've been missing in action lately. I assure you, I'm still around, but raising three kids in in the current economy is taxing. Add to that that I've spent the last 5 years fighting a Teamsters Local that is as useful as wet toilet paper is almost a full-time job. These guys have blocked me from becoming a shop steward despite the fact that I have more labor experience than the business agents mainly because I actively campaigned for Teamsters United in our Local. I am still here, ready to fight for our labor rights at a time when public sector union members are under unprecedented attack via the courts(AFSCME vs Janus) as well as the state legislatures when it comes to their pensions(Kentucky). The NLRB has been working as fast as they can to undermine anything remotely pro-worker. So, while it would be easier to just try and ride out the storm while President Cheetoh is in office, we just can't. I just can't. Even if it means I'm going to do some IWW organizing(I'm less of a fan of dues check-off every day) and write a bit more on labor issues, I will try to find time. Be prepared for some late night time stamps. So it appears that the Republican zombie of ending overtime as we know it has reared its ugly head again. As reported in the American Prospect, the GOP is once again trying to convince people that allowing comp time will give them more flexibility in the workplace. This is nonsense, and a simple ploy that would allow companies to work their employees as much as they want without paying them in a timely fashion, or at all. Of course, the legislation claims it will be the employee's choice to accept flex time, but do you honestly think companies aren't going to pressure the hell out of people to opt onto this scheme? If you don't think so, I've got some oceanfront property in West Texas to sfor ell you. What I really want to point out is the dirty little secret they don't want to talk about, and that is the fact that this would open the door for a flat out wage theft epidemic. 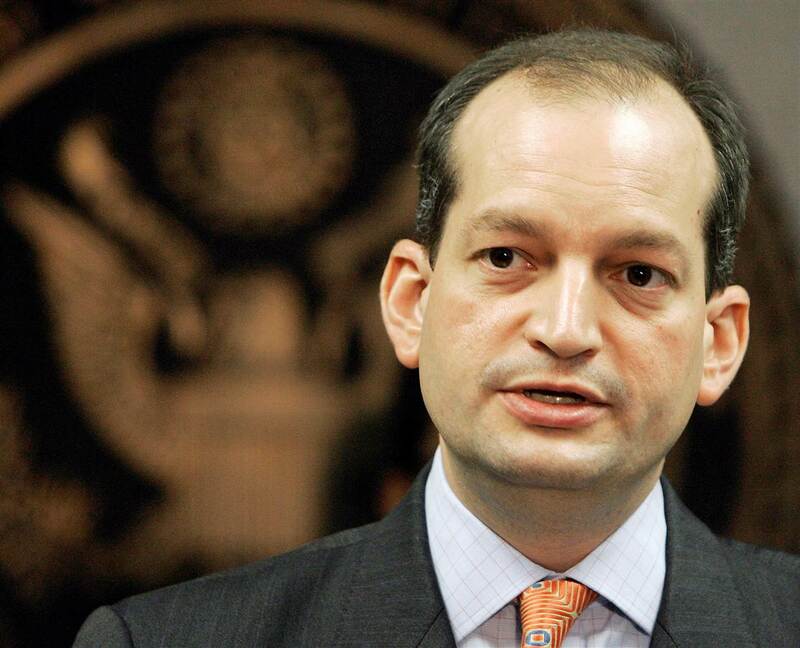 This would make it far to easy for companies to make the "honest mistake" of miscalculating how much flex time an employee has accrued, or to impose "use or lose" policies. Retail workers, whom often have blacked out sections on the calendar stand to be hit the worst, but millions of low wage workers who aren't able to keep up with their own calculations and records will be at the mercy of their employers to do the right thing. It is easy to see where this is headed. If anything, this makes clear that workers need to join unions in order to protect themselves from these draconian policies that threaten their livelihood. Can Labor Win in South Carolina? On February 15, employees at the Boeing plant in Charleston, South Carolina will vote on whether to join the Machinists Union(IAM). If the union is successful, it would be a huge victory in the least unionized state in the country. South Carolina is dead last by a margin that isn't even close. The 49th state, neighboring North Carolina, has more than twice the number of unionized employees. Winning a large scale organizing campaign in a state that Donald Trump carried by 14 points would arguably be the biggest union win in recent memory. Unions would desperately like to win this battle, especially after the bitter UAW defeat in Chattanooga, which saw the governor insert himself to influence the vote. If the workers at Boeing stick together in spite of an onslaught of negative, and outright intimidation by management, not only will they improve their own situation, they will provide much needed inspiration for other southern workers who seek to improve their working conditions. We are only a few weeks into the Trump administration, and already we have seen the birth of the resistance. The Women's March on Washington drew the largest collective nationwide protest in modern American history. Spontaneous protests broke out at airports around the country when Trump issued an executive order banning Muslim refugees and immigrants from seven countries from entering the United States. Earlier this week, national Right to Work Fire legislation was introduced by Iowa congressman Steve King. While this stands little chance of overcoming a Democratic filibuster in the Senate, it highlights the fact that collective bargaining rights have been on a losing streak in recent years. In the last five years alone, six states have enacted Right to Work legislation, bringing the total number of states with open shop laws to twenty eight. The AFL-CIO has held public rallies at the respective statehouses, op-eds have been penned, in some cases, court challenges have been filed. However, in every state after losing the battle, it seems that the house of labor folds like a house of cards. With private sector union density dropping to 6.4% in 2016, one starts to wonder when the AFL-CIO will find that the time is right to abandon the strategy of placing all our eggs in the Democratic Party basket. If we look back at the biggest victories in American labor history, they are social, not political. I recently asked a few friends in the labor movement their thoughts on the current state of labor. There were a few points made that really resonated with me. 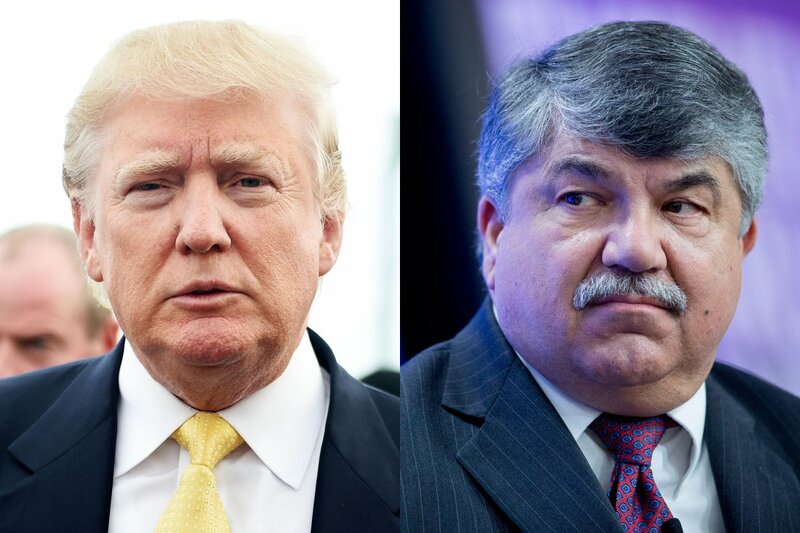 Chris Townsend, retired national political director of the UE, who is now the Field Mobilization Director of the ATU, assessed the current state of the labor movement this way: "Most of the unions are paralyzed, owing to their conservative political approach and combined with the fact that major sections of union membership voted for Trump." This has been evidenced recently by a meeting, which was reported by the New York Times between leadership of the North America's Building Trades Unions and President Trump. It is almost unfathomable that the leader of a labor organization would say of a president who has said he supports right to work 100%, "We have a common bond with the President...he understands the value of driving development, moving people to the middle class." The hard truth, as a union organizer that I know pointed out, is that a lot of rank and file members voted for Trump. This was based on a variety of issues, but the underlying problem for union leadership is the struggle many members face when they weigh supporting labor endorsed candidates with whom they have moral disagreements on everything from guns to abortion. It would seem that the Wobbly approach of non-political involvement in favor of direct action might be due for another look. Back to my original point of how all of this plays into the current situation with the Trump administration, I would like to offer the following observation as a warning: when unions become more of a political organization than a collective of workers, they inevitably become a political enemy of one side or the other. When the opposite side finds themselves in power, as is the case now, labor runs the risk of becoming a political casualty. The question is, will they realize it and change course in time? Over the last two years, my labor reporting has taken a back seat to parenting - we had zero children when I started this blog, we now have three - and working as a rank and file Teamster in an environment in which I often find myself in the position of fighting both management and my Local. I know many Teamsters out there can empathize. There is simply too much going on in the labor movement for me to not get back at it. We have an administration headed by a man with a history of fighting unions in his business life, who openly support Right to Work Fire, and a Congress that has just introduced national RtW legislation. This of course might become moot before it ever gets passed into law, as we have seen many states pass anti-union legislation, from the heart of United Mine Workers country in Kentucky, to the birthplace of the United Auto Workers in Michigan. It would have been almost unfathomable ten years ago to think that Harlan County and the Motor City would be RtW, but here we are. The labor movement has some long overdue soul searching to do on our next move. I'll be reaching out to friends and leaders in the labor movement in the coming weeks to get their take on where we should go next, as well as offering my take on things. I have taken leave for the past several months to sort of take stock of the current state of the labor movement, as well as my feelings about where we are now, where I think the movement is being steered by those in charge, and what I think we should be doing to rebuild the rank and file movement that defined labor at its strongest point so many years ago. This being May 1st, The international Workers' Day, it seemed appropriate to write this letter. 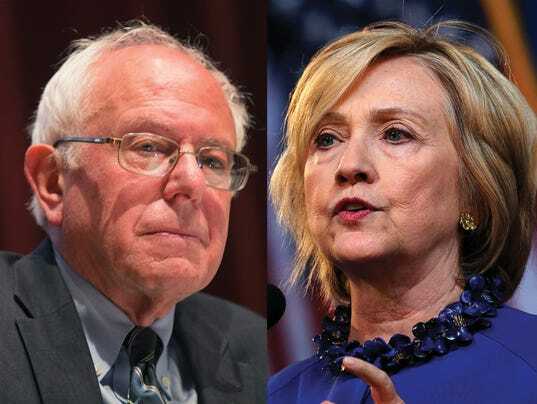 Last July, when I made my last post to this blog, I was covering the backlash from members that the American Federation of Teachers(AFT) was receiving due to their endorsement of Hillary Clinton over Bernie Sanders. I was not very surprised by the executive board of AFT endorsing Clinton, who has been very closely linked to Randi Weingarten, AFT's president. I was, however, surprised that when the uproar became much louder than they had anticipated, they tried to claim that they had polled their membership, which overwhelmingly chose Clinton. Anyone who has worked in the labor movement knows that to be a patently false statement. Just about every major union follows the same pattern, which I explained in detail in that post, which can be read here. Soon, the Machinists, SEIU, AFSCME, AFGE, and several other unions all endorsed Clinton long before the primary season even commenced. There were, of course, exceptions. The Communication Workers of America, as well as National Nurses United and the American Postal Workers Union all endorsed Sanders. I found it striking that the unions that backed Sanders all allowed membership votes, while those backing Clinton primarily relied on the National Executive Councils of their respective organizations to make the decision. All of this really made me step back and do some hard thinking about why, when faced with a decision between a candidate who had backed the labor movement on a fundamental level against corporate greed for 40 years, and one who backed the broader ideas of unions, but also backed large corporations and took a labor management approach, they would choose the latter. The answer became very clear to me: This primary would highlight the ever growing chasm between the class struggle being waged by the rank and file members and labor activists, and the lobbying organizations into which the labor elite have turned these institutions. When I accepted a job with SEIU in 2011, I had been a shop steward and labor activist for several years. I had pursued a job with several labor organizations, and was excited to finally be a paid staffer with a labor union. What I discovered was a completely different world than I had imagined, and not just within SEIU. From my interaction with other staffers at various other unions, it was obvious that there were a ton of similarities. As I have written about extensively on this blog, there has been a trend over the last 15 years of unions, particularly at the national and regional level, to hire recent college graduates as staffers. While the students are typically progressive, they often do not have any experience as union members. This has exacerbated the disconnect between rank and file members in the shop, and their leadership. I feel we rapidly approaching a crossroads where this must be rectified, or else we face the prospect of a fractured labor community. In my opinion, the major shift from labor movement to lobbying effort was kicked into high gear by Andy Stern. It was never a secret that Stern desired to be a player in DC, so much so that he was willing to fracture the AFL-CIO to do it. Change to Win was patched together largely by the cult of personality leadership of Stern and Hoffa(honorable mention to Doug McCarron). The leadership of the large labor organizations are largely involved much more in political lobbying than they are with the day to day struggles of the rank and file. The fact that nearly ever major union, with the exception of the Steelworkers and a few others, have their headquarters within walking distance of Capitol Hill is very telling. I think we owe it to ourselves to ask if we want our unions to continue to be lobbying organizations that focus primarily on attempting to further our cause through using our resources to affect legislative changes, or if we are resolved to return the labor movement to its direct action roots when we didn't trust politicians to do our bidding. For my part, I will always prefer direct action to lobbying. This has a lot to do with the fact that I studied political science in college and was a member of a union(AFGE) that depended on legislative action for a lot of their collective bargaining terms. For public sector unions, lobbying makes a lot more sense due to what I just mentioned. However, in the private sector, I believe we need to reaffirm our commitment to the direct action roots of our labor founding fathers(and mothers). I implore every labor activist out there to do some volunteer organizing for your local IWW branch. I really believe that the Wobbly approach is still the best approach. Rebuilding the IWW would go a really long way to revitalizing the labor movement at large. If you agree with anything you read, please evaluate your feelings about the direction of our movement, and resolve to do whatever we have to do to get things back on track. Where are the Mother Joneses and the Joe Hills of this generation? If it isn't us, who will it be? "Of course Hillary's got a long record of linking teacher pay to performance via standardized testing and of course charter schools. One scheme is designed to kill the teacher's union and the other is aimed at killing public schools. So of COURSE the public school's teacher's union backs....Hillary. This is why we can't have nice things." The endorsement should not come as a suprise to anyone who is aware that Randi Weingarten sits on the board of a pro-Hillary SuperPAC, and that she has been close to Hillary for several years going back to when Clinton was still in the Senate. What deserves a closer look from members who are asking themselves how and why this happened so early is the process by which unions often decide their political endorsements. 1. Executive council decides who they want to endorse. This is usually based on past political favors, and/or personal relationships between applicable candidates and members of the executive council. 2. The influential Locals have their internal union representatives call the leaders of the biggest chapters/shops. They are "polled" by the union representatives after they are told who the Executive Council wants to endorse. In my personal experience, nearly 100% of the member leaders I polled went along with the executive committee, as they were hesitant to go against their leadership. This is very commonplace in today's labor movement. The reason we are hearing about this in such a big way is that unlike most labor endorsements, which are issued when a candidate has clinched a primary, this endorsement comes before a single debate, primary, or caucus has been held. This endorsement has the appearance of a brazen, unethical political favor to a candidate from a union leader who has a massive conflict of interest as a sitting member of said candidates SuperPAC. I guess we'll all know for certain if Clinton wins and taps a certain someone for a cabinet post. I can always count on UE to put historical events into the context of the worker. This July 4th, we focus on Thomas Paine, founding father and champion of the working class who was once fired for organizing workers. Voters in Colorado, Washington, and the District of Columbia all recently voted to legalize marijuana for recreational purposes, and it appears that several other states may soon follow suit. This brings up the interesting question of whether recreational marijuana use will result in termination, and most workers will not want to be the first person to ask their HR office if it is alright to smoke a joint over the weekend. "14.2 Possession of Alcohol and Illegal Drugs Employees may not use or possess alcohol in state vehicles, on agency premises or other governmental or private work sites where employees are assigned to conduct official state business except when the premises are considered residences. The unlawful use, possession, delivery, dispensation, distribution, manufacture or sale of drugs in state vehicles, on agency premises, or on official business is prohibited." The interesting thing about marijuana is that urine testing is completely useless in states where marijuana is now legal, as a positive result from a urine sample in no way proves that the subject is under the influence. If you are a worker represented by a union in one of the aforementioned states, you and your fellow workers should push your union to negotiate terms that require a blood test to determine if someone is under the influence, as marijuana only remains in the bloodstream for a few hours. Going even further in that, workers in states where marijuana is legal should demand that their union negotiate language that is clear that only drugs that are illegal in that respective state are grounds for disciplinary action. Leaving ambiguous language leaves an opening for employers to claim that since marijuana is still officially illegal under federal law, they can terminate an employee if they test positive. As Varys said in the blockbuster series, Game of Thrones, "Men of talent have a part to play in the wars to come," I believe all men and women will have a part to play in the labor wars to come. President Obama fired a shot across the bow at progressives this past weekend when he was attempting to sell the secretive NAFTA 2.0 Trans-Pacific Partnership(TPP). Obama claimed, "I agree with Elizabeth(Warren) on a host of issues, but she's wrong about this." If you're trying to prove someone else is wrong and you are right, it doesn't help if you are purposely keeping the details confidential. This is why the labor community almost unanimously opposes TPP. After being hoodwinked on how NAFTA would be great for American workers by the last Democratic president, unions are rightfully wary of being so trusting this time around. This is probably the most likely single issue to cause a split between the Democratic Party and labor unions, but there are a few other under-the-surface issues as well. The biggest of these issues is the continued focus of labor unions on political lobbying over direct action. While unions were able to stick their thumb in the dam for a while to stop the hemorrhage of union density, the Citizens United ruling has made it impossible for unions to compete long-term, which we are already seeing with the anti-union legislation that has passed in Wisconsin, Indiana, and Michigan. It should be no surprise that the Koch Brothers recently proclaimed Scott Walker as their preferred candidate. With lobbying no longer a viable long-term solution, the obvious(and possibly only) solution is a return to non-partisan, direct action that was so effective in the early part of the 20th century. The times are ripe for the return of general strikes, and other forms of mass demonstrations. Inequality is at an all-time peak. If the labor movement cannot galvanize now, then perhaps it may be too late, and it will have to die and be reborn. Ask Us Your Union Questions! Get Your Union Gear Here!